Replace you 14ft. Jump'Up 430 old safety net. Is your safety enclosure starting to look used? 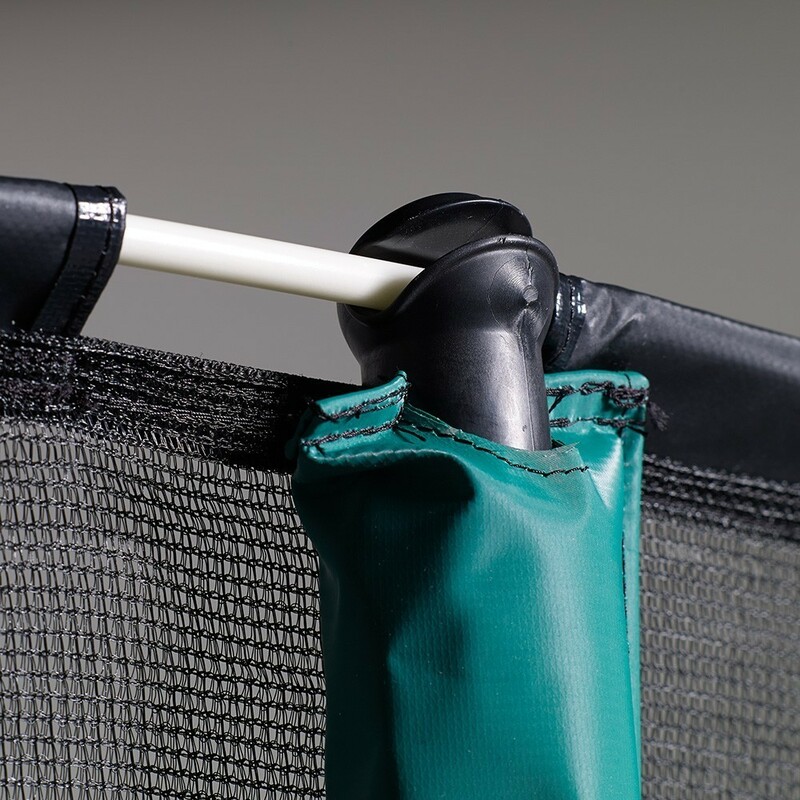 We strongly recommend replacing it as it represents one of the most important parts for the safety of the trampoline users. 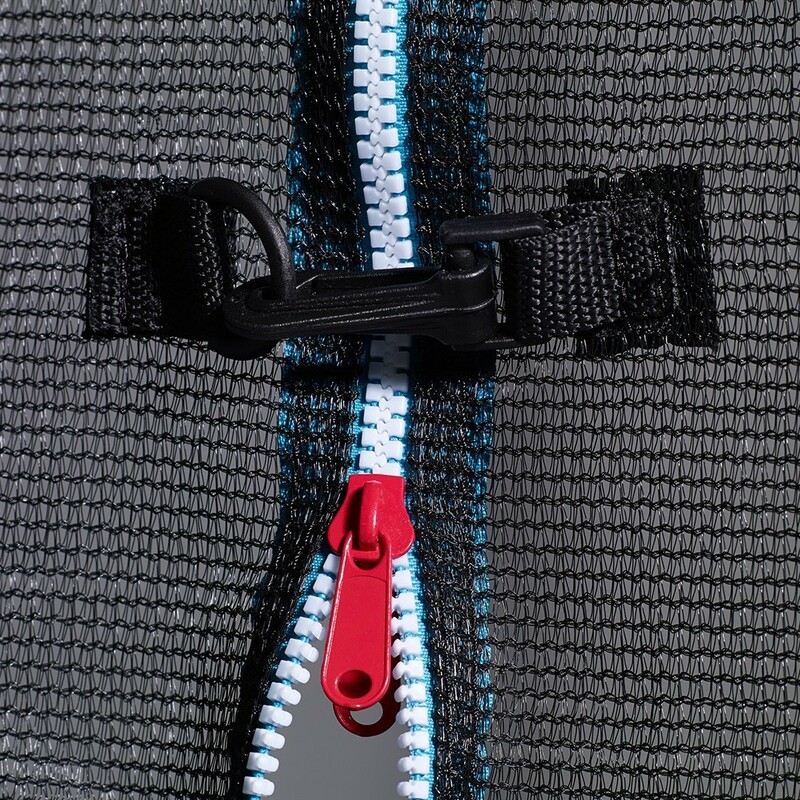 This spare part will allow you to replace only the textile net and not the whole safety enclosure. - This spare part is perfect for 14ft. Jump'Up 430 trampolines bought after March 2016, but it is also compatible with all other branded trampolines that have the same technical features. 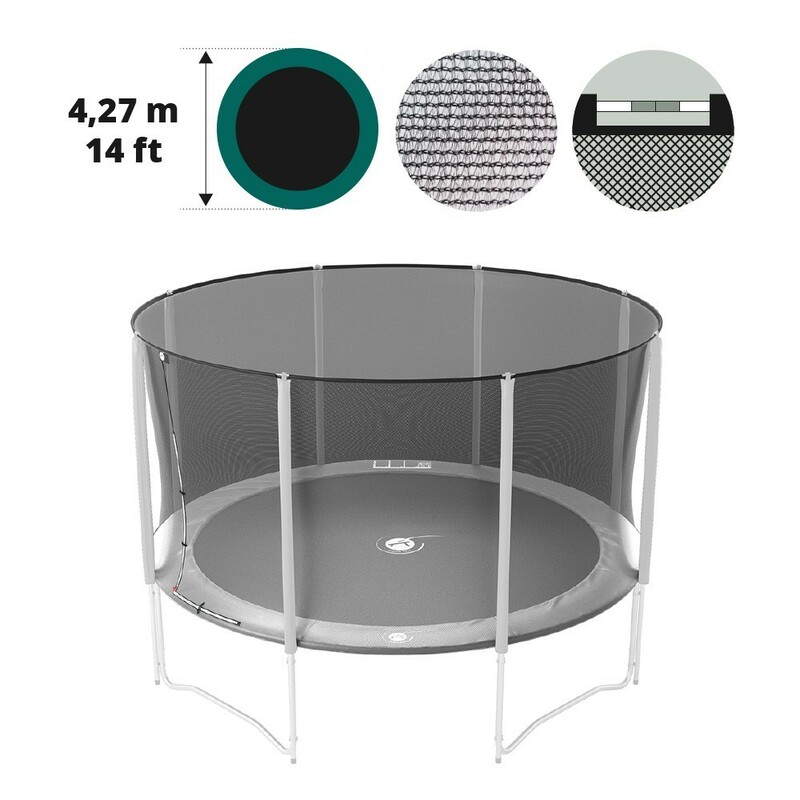 The overall diameter (exterior) of your trampoline must be 4.27m and the trampoline must have 8 posts with caps to hold the net. 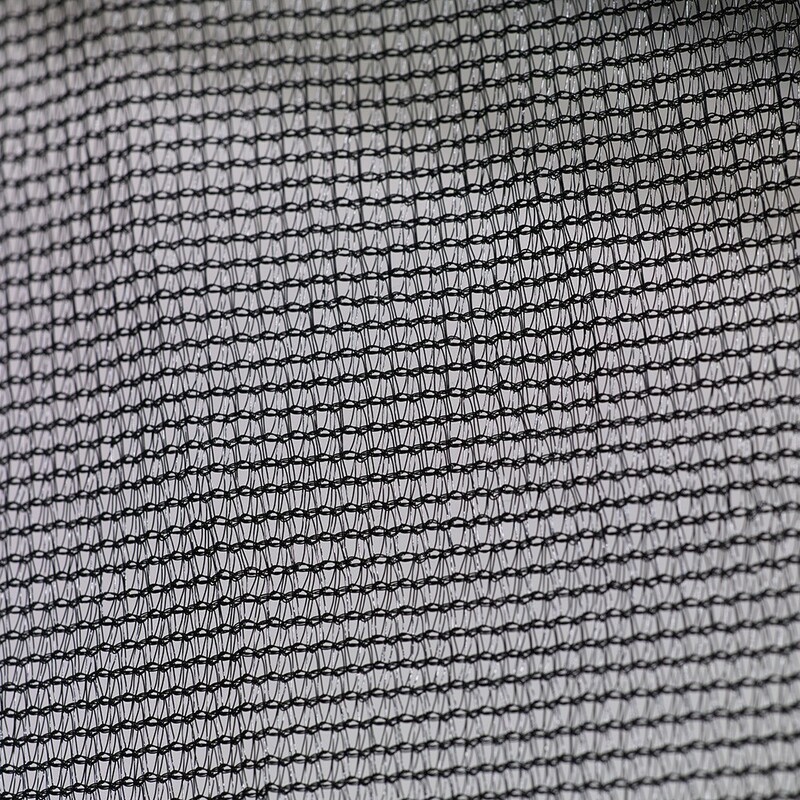 - To give you a high-quality, resilient and soft product, the net is made from polyester. This material is recognised for its strength and its softness. To prevent children getting their fingers caught in the net, the netting has been tightly braided to avoid any incidents while using the trampoline. - Access to the trampoline is quick and easy, through a zip door in the net. The closing is reinforced with clips on the outside of the door to ensure a closed door. - The safety net is held in two areas on the trampoline. The top of net is held with fiberglass rods (sold separately) that go through the sheaths at the top of the net slotted into the post caps. The bottom of the net is fixed under the trampoline with elastic straps with hooks that will be fixed onto the hooks of the jumping mat.